In another day of shameless self promotion Kim posts a picture of her bum, yes another one. Kim who is pictured on the beach like some poor beached whale is obviously looking for a million likes. Momager Khris is just out of shot jumping up and down. Khris knows how much the viewing figures will rise for Keeping Up With Kardashian’s new season, from this genius piece of PR. Kim’s bottom is officially the eighth wonder of the world. This entry was posted in Kim Kardashian on July 21, 2014 by wealthandglamour. @KimKardashian joins the @rihanna trend of going out naked!! Kim Kardashian obviously has no intention of toning down her dress sense for married life. Flashing her amazing body at a music festival yesterday. This entry was posted in Kim Kardashian, Uncategorized and tagged Amazing Body, Kim Kardashian, Rianna on June 14, 2014 by wealthandglamour. Another gorgeous photo from that wedding, North looks so cute! 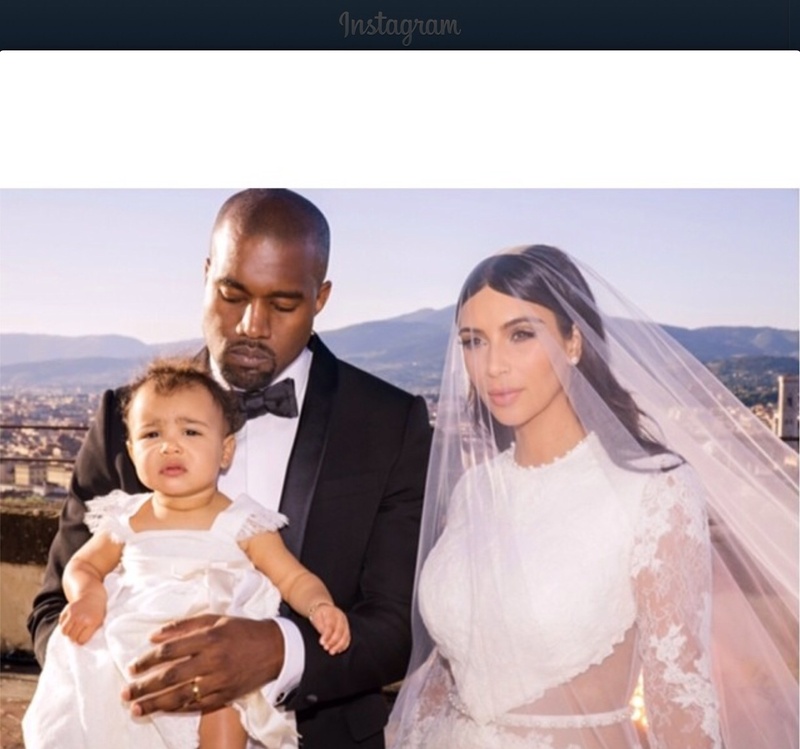 This entry was posted in Kim Kardashian and tagged Kanye, Kim Kardashian, North, Wedding Photo on June 12, 2014 by wealthandglamour. Has @KimKardashian joined the Amish? Kim Kardashian stepped out today in a very odd choice of dress. Kim was unusually covered from head to toe, strange. This entry was posted in Kim Kardashian and tagged fashion, Kim Kardashian on June 4, 2014 by wealthandglamour.